Scientists at the Walker Reading Technologies in Minnesota have an interesting new technique for improving online reading and comprehension. Basically, the human brain doesn’t deal with block text well. Instead, our eyes view text as if they’re peering through a straw. We only focus on a small area at once, the lines above and below can cause noise and distraction while reading. Of course, we’re so used to reading block text, this might seem counter-intuitive. How could thousands of years of writing and printing be wrong? Well, physiologically block text is not the most conducive for humans to read. 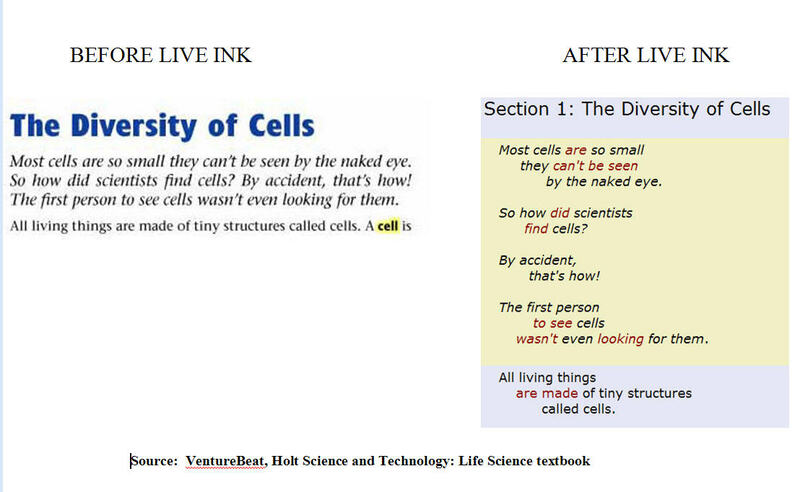 Be sure to check out the image of before and after formatting. But do we really want all of our online texts looking like a haiku? For one, this would make pages many times longer. And printing would take reams of paper. So, solving one problem may cause others. The interesting over-arching lesson from this, however, is that HOW text is presented affects how we read, understand, and interact with information. Information design is crucial to the user experience on many levels. Maybe there’ll be a FireFox plugin to switch this kind of formatting on and off from your browser? Yes, we are working on browser plug-ins, including Firefox. Contact us and we will send you a beta-version.